The Black Watch Mark I is the brand new release in the range. 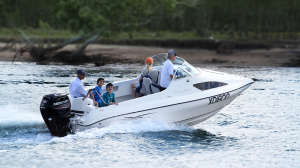 Through much research and inquiry we realised there was a need for a small trailer able vessel geared towards family, wakeboarding, tubing and fishing. A great cross over boat the Mark I covers it all. 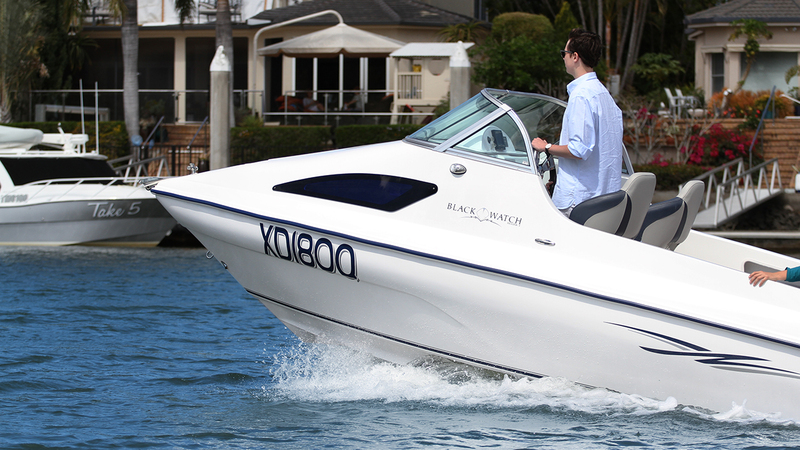 This boat has a wide beam compared to many boats in its class. At 2.3 metres with a very deep side it offers security and stability for those with small children or if you just want to lean on the side while fishing. 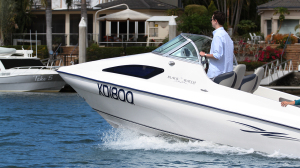 The boat has a number of power options. 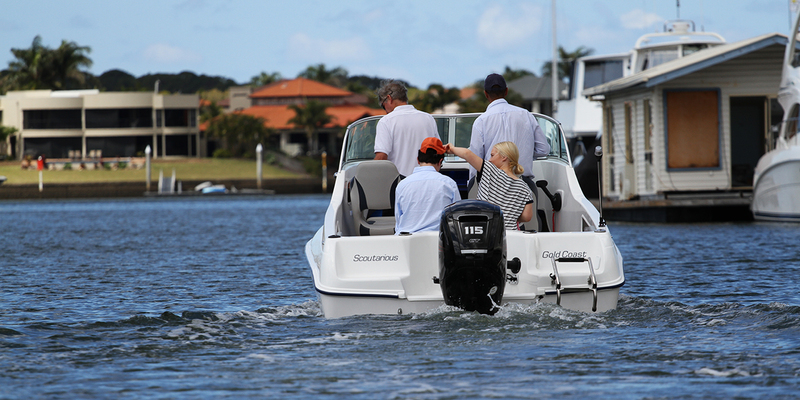 A good option is the New light weight Mercury 115 HP or other outstanding products from Evinrude or Yamaha. There is storage on the port and starboard sides for your fishing gear with 2 transom mounted rod holders. 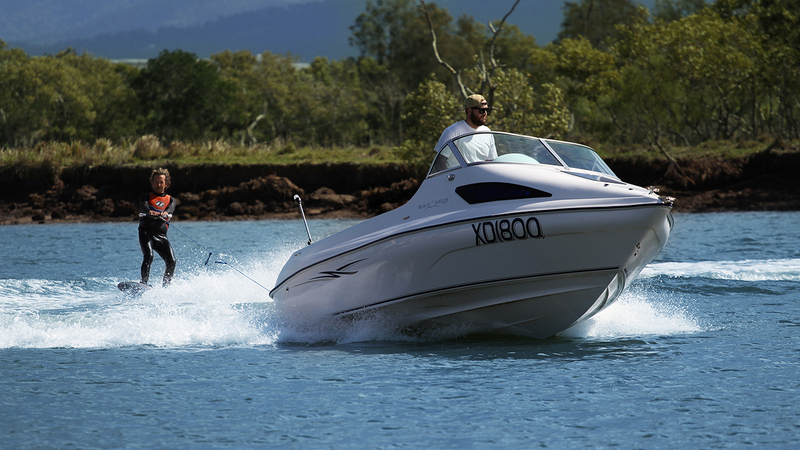 The vessel boast ski hooks and a great wake for tubing and wakeboarding. At 30 – 35 knots wake speed is lower it is comparable to ski boats on the market. The forward cabin offers an upholstered bulkhead and padded sides with storage pockets with the highest headroom in its class. Extra seating is available when removing the centre cushions or keep the mattress when the little ones need a nap. There is under mattress/seating storage on port and starboard sides and under floor storage in the cockpit. 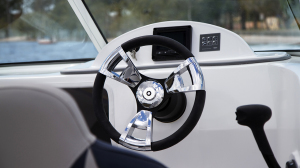 The helm station is modern with easy viewing monitors and has 2 sliding helm chairs able to swivel 180 degrees for spotting a skier or wakeboarder. 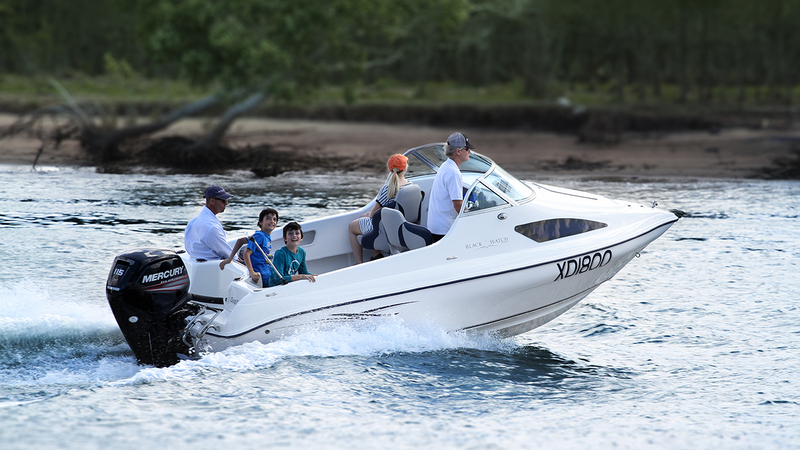 The custom upholstery at the stern of the boat is stylish and comfortable and offers plenty of under seat storage for coolers, extra fuel and the days picnic and rear seat is removable for easy cockpit layout change to suit your needs.